Anxiety, depression and stress are emotional responses that can occur due to a wide variety of personal conflicts or situations which everyone experiences and handles differently. The most important thing to remember is that your health is highly dependent on your psyche; the more depressed you are, the greater the chances of disease. A reduction in your stress levels will ensure that your mood is better, along with a boost in immunity and longevity. Extreme worry and stress levels have the potential to make you ill, from a simple common cold to severe cardiac conditions. 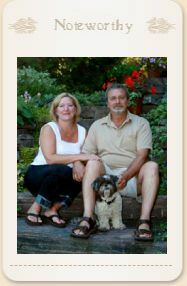 When it comes to managing your condition, including depression and anxiety or coping with grief and loss, Barbara uses an approach to couple and family counselling that is a brief, emotionally focused therapy model. This is used to resolve conflict or to recover from affair issues. Interventions are aimed at developing healthy communication in relationships, by addressing difficult emotional issues and focusing on the strengths of each individual. Some of the key areas Barbara focuses on to help resolve or outline coping strategies are listed below. These services include helping individuals, couples or families dealing with addictions, abuse, divorce and anxiety across Aurora. Each client receives a customized plan to help with their experiences. Barbara's approach to family counselling is based on coaching parents and children to manage difficult issues in a peaceful manner. Communication is the key to successful family life and it is only through productive and engaging conversations that relationships survive and persevere. Barbara has vast experience in helping families through obstacles, such as parent and child/teen conflict, mental health and addiction issues, to name a few. Whether you need marriage counselling, anger management or coping strategies for stress or anxiety in Aurora, please contact Barbara today to schedule an appointment. “I just wanted to thank you for all of the help that you gave us. Andrew and I are communicating with each other so much better than we ever have before. We did get the house that we put an offer on, and in the past, the stress of buying a new house would have made us both clam up and not share our feelings with each other. Now, because we are being so open with each other, there is no stress!! For everything you helped us with, we are eternally grateful!”—M.